Wake Up & Spring Forward! 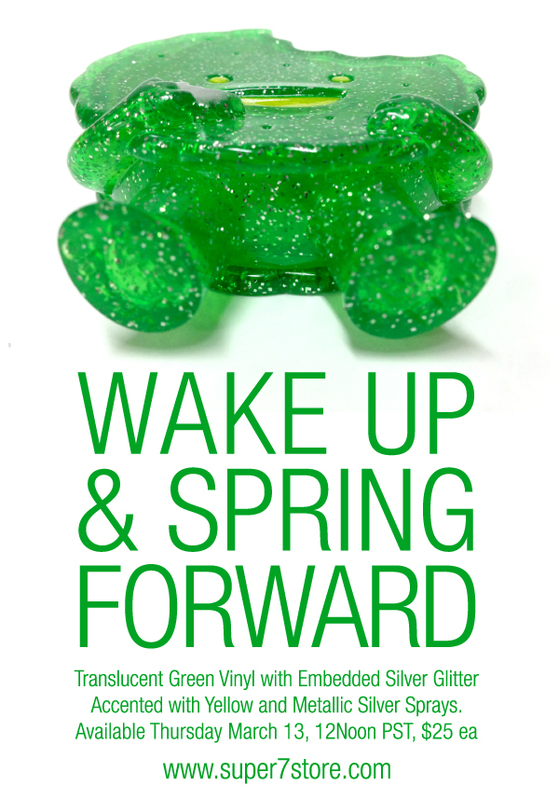 The Spring Forward Foster is cast in Sparkley Spring Green Vinyl with embedded silver glitter and accented with yellow and metallic silver sprays. Available Thursday, March 13th, 12noon PST, $25 ea.